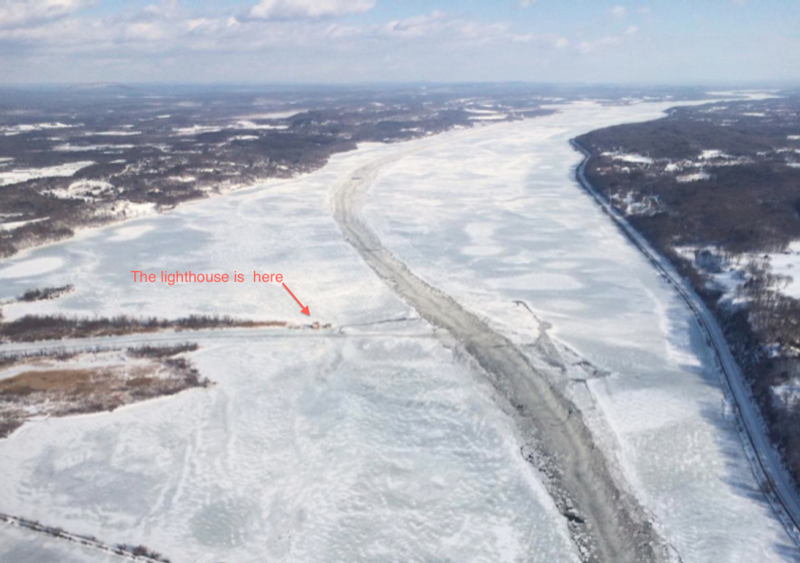 An aerial view taken from the Coast Guard ice reconnaissance plane shows the Lighthouse surrounded by ice. The coves are locked in with solid ice sheets, and a narrow channel cut by the Coast Guard ice-breakers bends past the Lighthouse. We haven’t seen this much ice on the river in several years.